It’s a Christmas Jumper, Oh My! This blog wouldn’t be a proper holiday shopping guide without the inclusion of a few seasonal jumpers. So to get into the festive spirit of Christmas knits gone wild, I present this fun sweater dress from Tiffany Designs. This cable knit sweater has a nice asymmetrical hemline paired with a fun little snowman in shades of blue. The sweater dress comes in two styles, a loose and tight fit and is sized to fit both mesh and classic avatars. 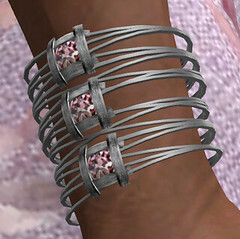 Best of all, this is one of several completely free gifts that can be found at Tiffany Designs. Drop by Nala Design to pickup these fun latex boots. 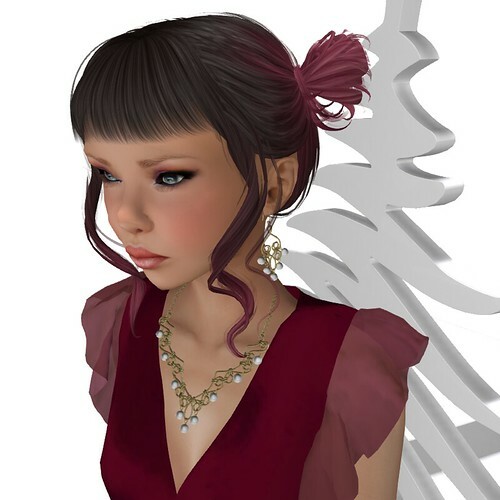 The boots are a free gift for members of the free to join shopping group Maitreya Gifts, Sales & News. Nala supports several shopping groups throughout the store so keep your eyes peeled. Shop happy! Here’s a quick bit of sparkle to start your week off on an positive note. 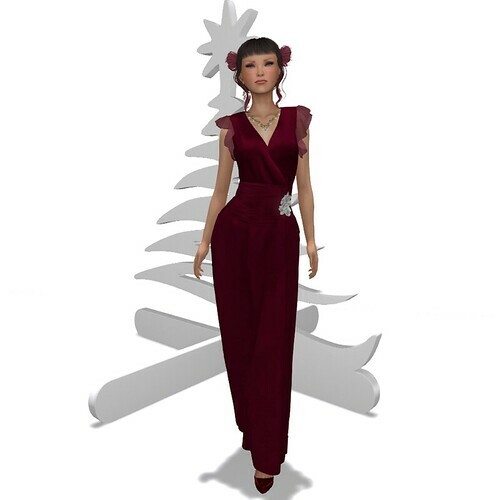 The Sue Gown by Tiffany Designs is packaged to fit classic avatars and Maitreya, Slink, and eBODY meshes. The gown can be worn with or without the flexi skirts. That is especially helpful if your going to an area that requires low avatar complexity. Simply leave the flexi bits off to keep complexity low. If you find you’d like a bit more fullness to the flexi skirt (as our model did), simply copy and paste the flexi parts into your inventory then wear. Once on, go into edit mode and position the new pieces. Included with the gown is this lovely Starlight Jewelry set. The set is easy to adjust and position if needed. To make this outfit your own, you’ll need to pop over to The Free Dove and raid their formal tables. Enjoy!